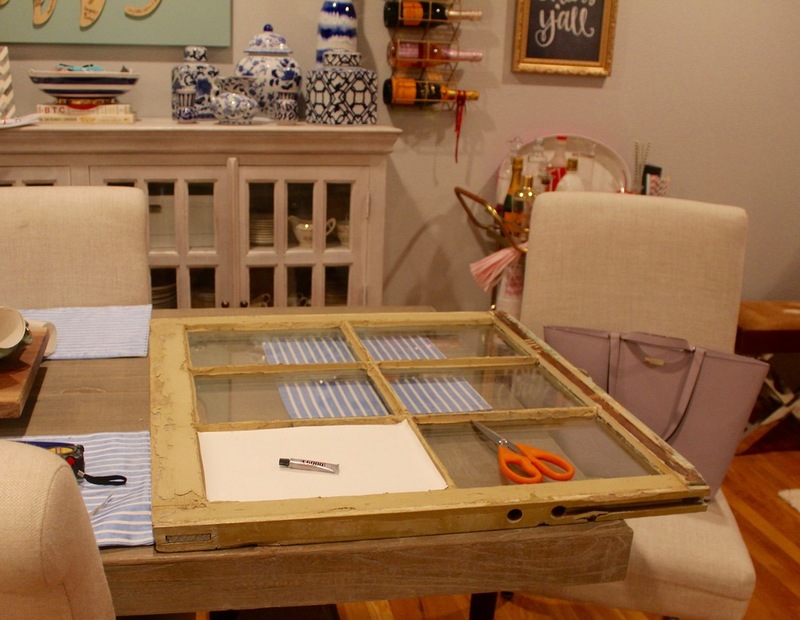 This has to be one of my favorite DIY's I have ever done! 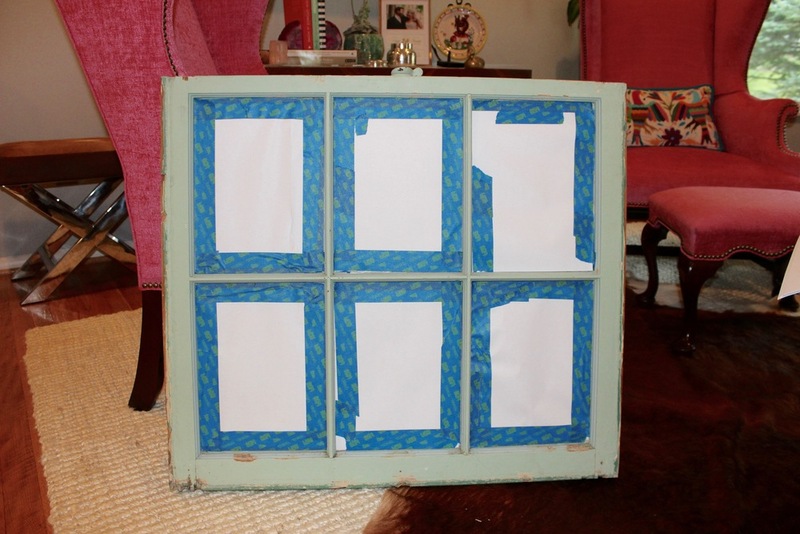 I originally bought this window at Paul Michael Company in Lake Village, AR for a wedding DIY. I was going to put some pics on it for our reception, but kind of forgot about it... So, I decided to paint it and use some fun paper behind it to make a menu board for our kitchen. 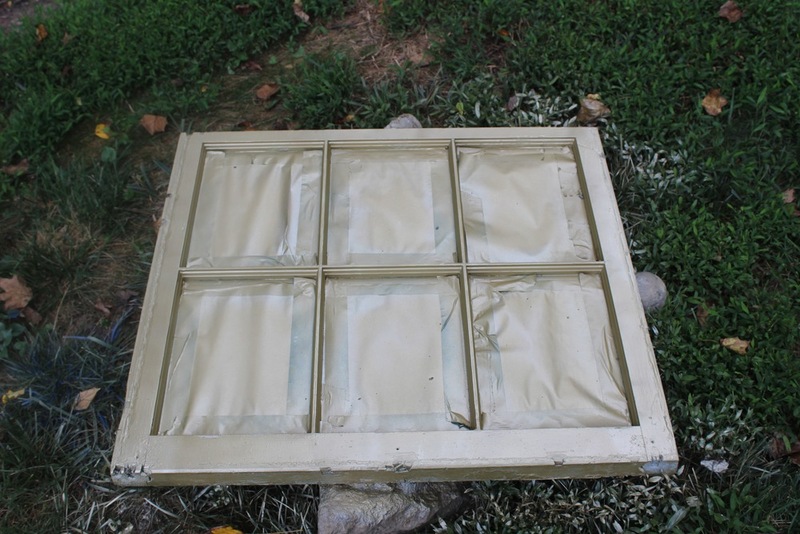 I cleaned it off, taped it up, and spray painted it a light gold to match the paper I planned to use. I wanted to tie it in to our decor, so I used the York wallpaper that was left over from our entry wall. I need to put up some home posts to show off our hard work on our house! After I spray painted, I cut the wallpaper and hot glued it on. Not the easiest task, but as long as you have popsicle sticks to spread the hot glue, you are good! Don't burn your fingers! 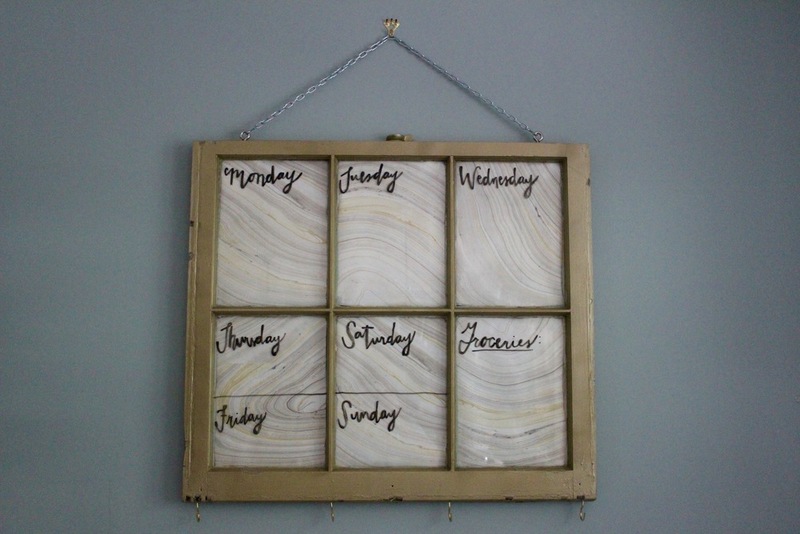 I added the hardware and had my sweet little sister do the pretty hand lettering for the days of the week. She did such a good job! I should have had her use paint pens, but I will try my best to not erase them! Dry erase marker work on the glass so well. I plan to use it for a weekly menu, grocery list, and a way to keep up with what we are doing that week. So excited to have this rustic beauty in our kitchen now. I love having original DIY's around our house. Plus, it is a great place for my apron and pot holders! When you have a little kitchen, a new place to put things is always welcome! 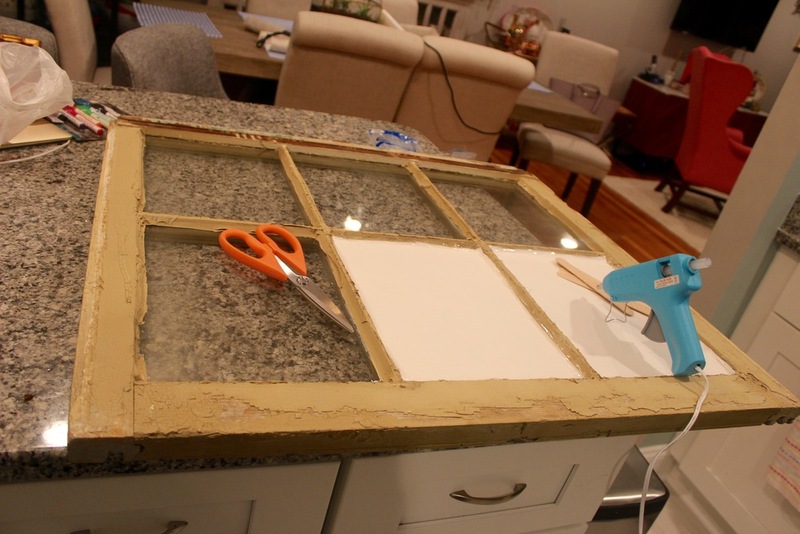 Hope you enjoy DIY's in your home! The Fourth of July has always been one of my favorite holidays and this year we threw a party at our home! It was so fun... but rainy! I swear we may be cursed - it poured rain on our housewarming party. Eek! I have always seen the cutest DIY's for the 4th on Pinterest. But, we have never hosted, so I haven't gotten around to doing any of them. So, I was bound and determined to make these babies this year! While you are waiting on the stripes to dry you can add the stars! Some of you may be talented enough to draw them yourself... In my case I painted felt star stickers and just stamped them on. Easy peasy! Hope you had an awesome 4th! I have one more DIY for patriotic holidays that I will post next week!